I have been reading a lot of blogs lately and I have noticed that a few of them have a bucket list of things that they would like to do before death. A bucket list is something that I have often thought about doing mostly since watching the film, but to me it just seemed that with no proper date in mind I would probably write the list and then completely forget that it ever existed. 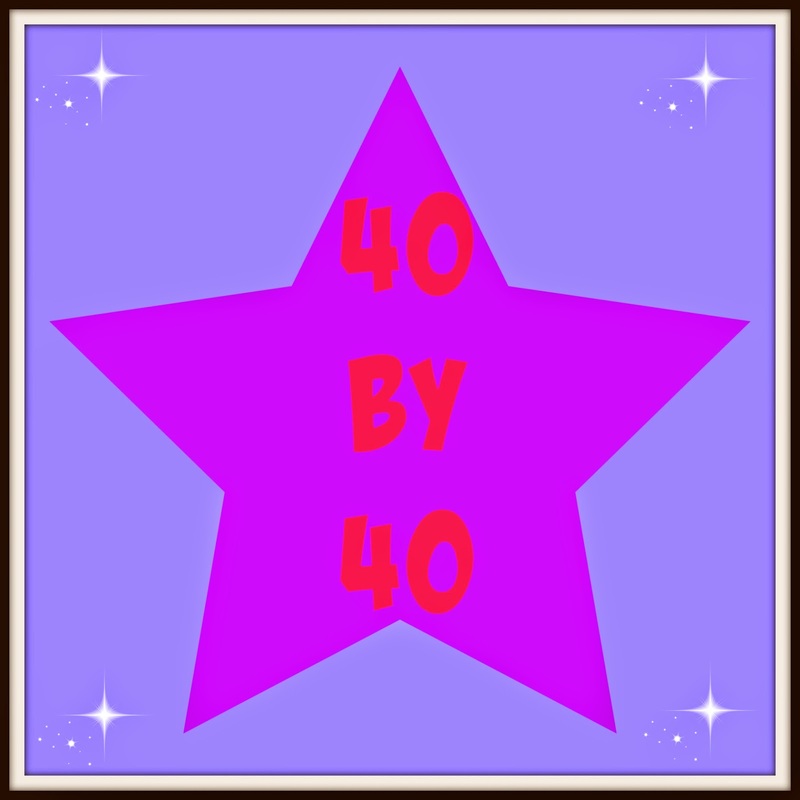 However, I have now found the answer to my problem in the form of what I have seen other blogs doing and that is setting a number of goals with a deadline such as turning 50. This seemed so much better for me so I have decided to do my 40 by 40 list. I have written a list of 40 things that I would like to have achieved by the time I turn 40 years old. I’m 33 years old at present so I have just over 6 1/2 years to cross them all off. I will add a page at the top of my blog for charting my progress and of course I will be blogging about my efforts to cross these off and how I get on. Here are my first 20 goals, the rest will be in part two. 1. Go on a family Euro camp holiday to France. I have seen some lovely parks and heard good things about them and they also seem very reasonably priced so I would love to take the family on holiday with Euro camp to see what it is like. 2. Go on a family holiday to Disneyland Paris. I took my older two girls here for a family holiday when they were young enough to believe that they were meeting the princesses and mini mouse so I would love to be able to take Faith there while she still believes as well! 3. Get a new dishwasher. We have never been able to buy a brand new dishwasher as there always seems more important things to spend money on so we always brought second hand or were handed down from family and friends. Just before Christmas our dishwasher broke and we haven’t been able to get it fixed so at the moment it is back to washing up by hand. I would love the next dishwasher that I buy to be brand new and completely my choice! 4. Have a ‘night in with the girls’. ‘A night in with the girls’ is something that I hear on the telly a lot and also something that I have read about in books but I have never had one. I do not really have any friends and when I have been friendly with people in the past this topic never really came up so I would like to have one to see what it is like! 5. Do a race for life. I signed up to take part in a local race for life a few years ago but I was never able to take part as I didn’t do any training and I was very ill with the ME so it never happened. Ever since then I have told myself that once I loose some weight and get a bit fitter I will sign up and actually participate this time! 6. Return to blackpool for a holiday. I use to go on a coach to blackpool for a long weekend with my nana and mum when I was a kid and I loved it. I took the older girls to blackpool for a holiday when they were younger and they too loved it, so it would be nice to go back now that we have Faith too. 7. Make a gratitude jar. Every year I say that I will do this but every year I either forget to make the jar or I make the jar but then forget to fill it during the year! 8. See the most famous Agatha Christie play – the mouse trap. This is a play that I desperately want to see as I am a huge Agatha Christie fan and I have been promised tickets to go quite a few times but I never actually get to go 🙁 There is always something more important to spend our money on. I am determined to see this play! 9. Reach my goal weight of ten stones. My new years resolutions only cover this year so that is why I have put to loose 3 stones this year. To weigh ten stones is my long term goal so that is why I have put this on here. 10. Attend a blogging conference. 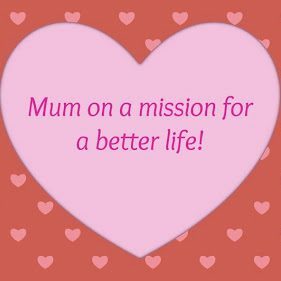 I would love to be able to go to one of the blogging conferences that I have read so much about like the britmums live. 11. Get my teeth fixed. This is something that I know will be very painful and as I’m a complete chicken I keep putting this off but one day I will manage to pluck up enough courage to visit a dentist and get my teeth fixed. 12. Go on a spa weekend. I need to make at least one friend to come with me on a spa weekend. I love the idea of a weekend of being pampered and relaxing. I hope that I will get to try one. 13. To be able to wear high heels when ever I like! I love shoes and I love high heels but since being ill with ME I have not been able to wear any heels. I have put on so much weight that if I try and wear heels I am in complete agony so I am restricted to trainers and flats and it really annoys me! 14. Quit smoking for good. Another one from this years new years resolutions list. I think that if I haven’t smoked for six consecutive weeks I can check this one off as I do not think that I would start again after going that long. I love the idea of this and I have often looked into classes and times and so on but I never actually get around to doing it. 16. Go camping in the UK. Last summer holidays we went camping in our back garden as we had never camped before and we thought we should ease ourselves in with access to the loo and it being so cheap as free to camp in garden! Now we have had a go I would like us to take it to the next step and actually go to a campsite somewhere near to home in the UK. 17. Finally finish knitting the blanket that I started 3 years ago! Three years ago I started knitting a blanket for Faith, just one of those ones where you knit squares and then sew them all together. Three years later and I am still no where near done so it would be nice if I could get this finished. 18. Visit the Agatha Christie festival. Last year I discovered that there is actually an annual Agatha Christie festival held on the English Rivera where a lot of her novels were set. Since finding this out, I would love to go but it is not cheap so I will pop it on my list and hope that somehow I will manage to go! 19. To start pen palling again and actually keep it up. I use to be an avid snail mailer. I had about 20 or so pen friends that I would regularly write to from all over the world when I was in my early 20’s. Since being ill and having kids and so on, life has got in the way and I have lost touch will all of my pals. I have tried to find new pen pals a few times but I never keep up with sending out the letters so if I am going to make some new pen pals I must make sure that I’m in it for the long haul this time. 20. Go on a magical mystery tour! I have always loved the idea of sticking a pin in a map or throwing a dart and visiting wherever it lands for the day to see what the place is like and what there is to do. I would love to throw caution to the wind and just do it! Part two of my list will be posted on Wednesday. Great ideas - we tried the camping in France idea last year. It was lots of fun.